Uses: Google docs is a great program in itself, but I want to focus on the forms aspect today. 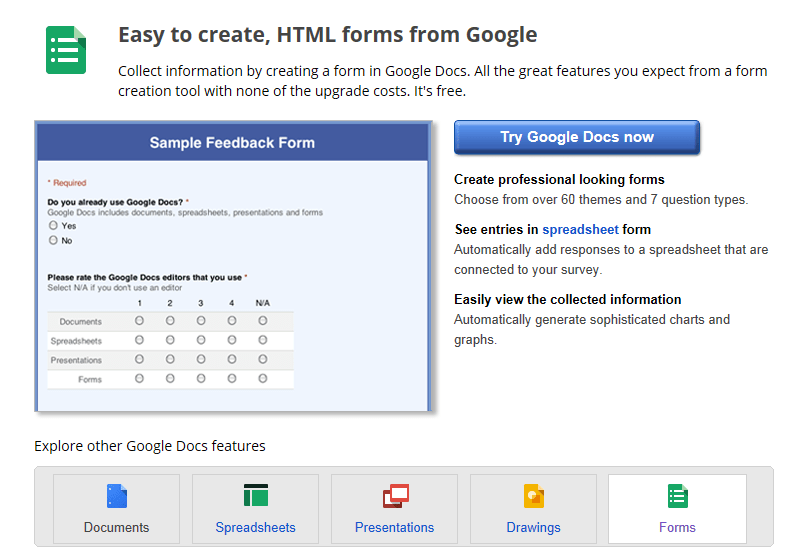 Google forms allows you to create tests, surveys and more and then neatly puts the information into easy to read spreadsheets, graphs and charts. It includes several themes and question types to choose from.